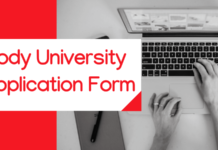 Avantika University Admission 2019- Avantika is India’s first Design Centered University, driven by the spirit of Design Thinking. Avantika University offers admission to various courses in Design, Engineering, Architecture. 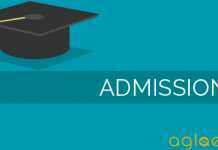 Avantika University Admission 2019 for all these courses are now available. 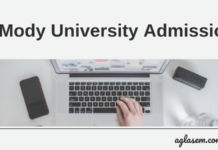 Interested candidates who want to take admission can check all the details of Avantika University Admission 2019 like course offered, eligibility criteria, selection procedure etc from this page given below. Latest: Admissions for both design and Engineering 2019-20 batch has been started Apply Now! Candiadtes who wish to apply for Undergraduate courses offered at the university must have passed 10+2 with a minimum of 50% aggregate marks. Check the complete eligibility and admission process before applying for any of the course. 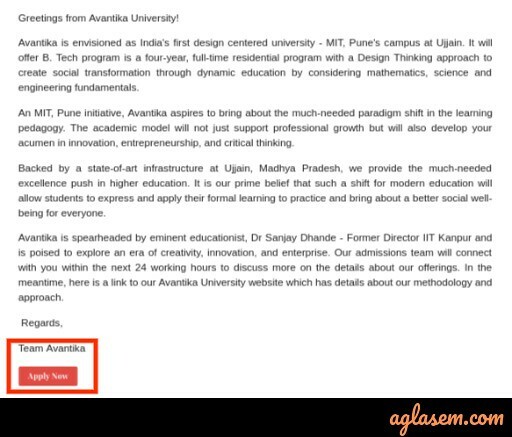 Dates regarding admission at Avantika university are now available to check in the table below. Click Here to apply online for B.Tech 2019-20. Click Here to apply online for B.Des 2019-20. In order to apply for any of the courses at Avantika, university candiadtes can visit the official website avantikauniversity.edu.in. Also, you can click on the direct link and follow the procedure given below to apply for admission to your desired course. 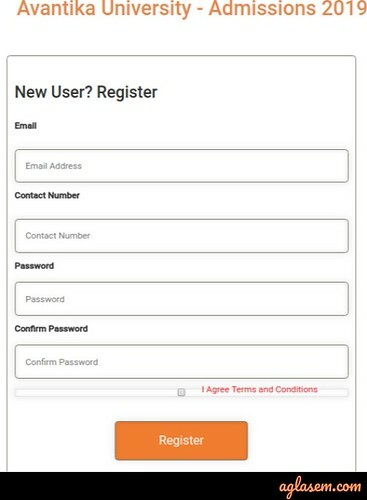 Login to fill the application form. Fill the Enquire Now form to receive an email. Click on to apply now to open registration window. Fill details in the registration form to register successfully. 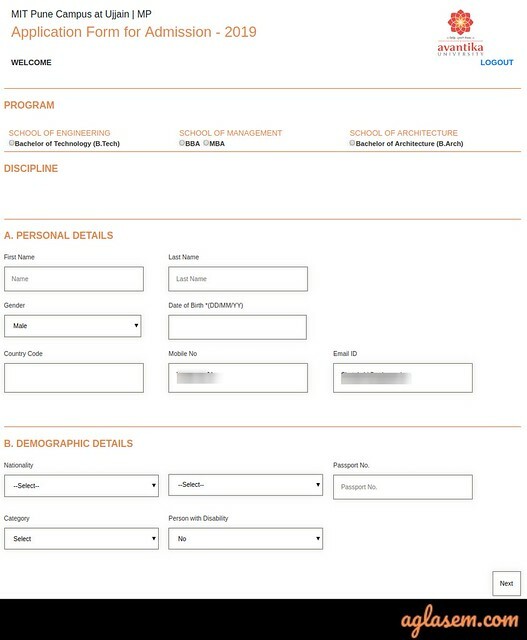 Fill in the application form with Programme, Personal Details etc. 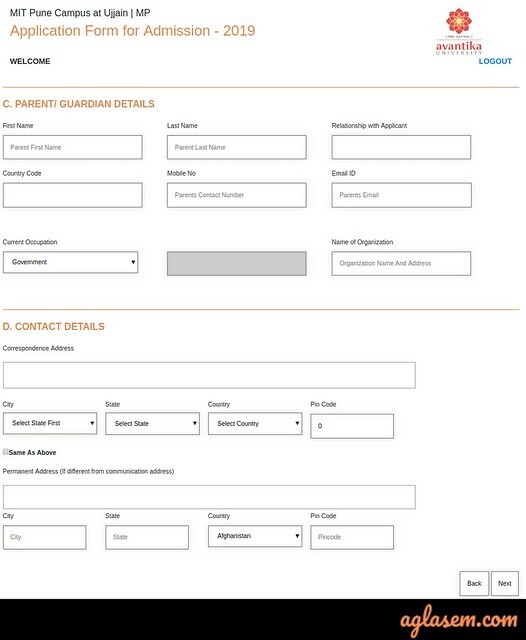 Next, the candidate will have to fill Parent details, contact details etc. Education qualification has to be updated by candidates. Submit the form after payment is done. The university offers a wide range of courses in the field of B.Tech, Design, Fashion, and Architecture. Check the list of courses offered to apply for the one that is suitable. The eligibility required for the courses offered at Avantika University is given below for candidates to go through before applying. It must be noted that in the case of ineligibility candidate will not be able to take admission in the university. 10+2 (From any of the State Boards/ CBSE/ ICSE/ ISC/ IB/ NIOS or equivalent exam) with Physics, English, and Mathematics as compulsory subjects. A valid score of JEE, DAT examination or any state entrance examination. Candiadtes must have passed 10+2 from any stream with 50% aggregate in all subjects. Admission Test – Design Aptitude Test (DAT) score is mandatory. 10+2 (From any of the State Boards/ CBSE/ ICSE/ ISC/ IB/ NIOS or equivalent exam) with Mathematics as compulsory subject. 50% aggregate in all subjects. For admission to B.Tech courses, candiadtes will have to fill and submit the application form. Shortlisted candiadtes will then have to appear for the personal interview through Skype. Further, the merit list is published for admission. Phase 1: MIT ID-DAT (Design Aptitude Test) conducted at various centers across the country. Phase 2: Studio Test and Personal Interview. Similar to that of B.Tech candidate who will opt for B.Arch will have will have to fill and submit the application form. Shortlisted candiadtes will then have to appear for the personal interview through Skype. Further, the merit list is published for admission. Admit card will only be generated for those candidates who are to take the Design Aptitude Test (DAT). 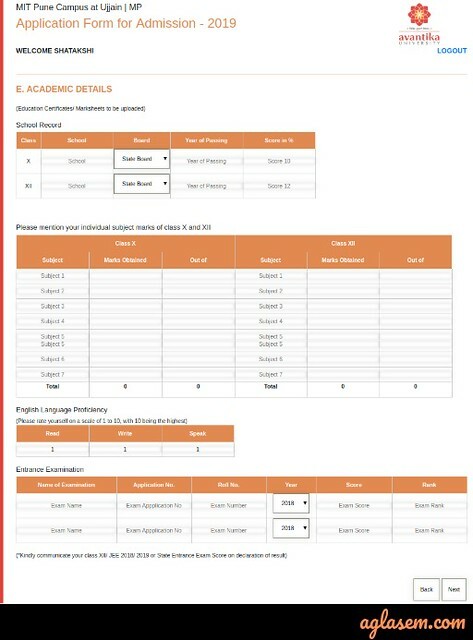 The admit card for the same will be available online on the official website only. It is therefore mandatory for candidates to carry this admit card to the examination center. All the candidates who are willing to take admission in B.Tech, B.Arch can apply directly through NATA or JEE score and will not have to download the admit card. Avantika University will release the result for DAT 2019, after conducting the exam successfully. Candidates who appeared in DAT 2019 will be able to check their result from the link given below. Once the link will be provided below, candidates can check their result by entering their DAT registration number. As soon as candidates click on the submit button, the result will appear in front of them. Candidates should take a print out of their respective result and keep it safe until the whole admission process gets over. For more information about Avantika University Admission 2018, candidates can download information brochure.